Over the past two years the Gallery and co-curator Sana Balai have been working with artists and communities in the Autonomous Region of Bougainville and neighbours in the Solomon Islands archipelago, and four artists from Australia on a major project focused on women’s contemporary creative practice for the upcoming ‘The 9th Asia Pacific Triennial of Contemporary Art’ (APT9). 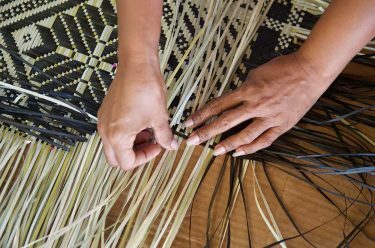 While lacking contemporary art infrastructure, new expressions of customary practice from weaving to body adornment are alive in these Pacific islands. Young practitioners with interests in digital media are also emerging, keen to engage with the opportunities to tell their own stories to an expanded audience. 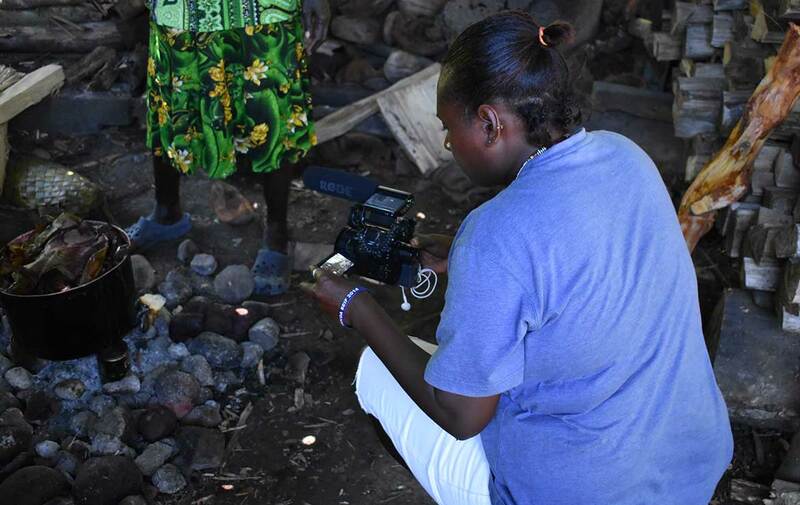 Amongst recent initiatives to introduce young people to digital media are Arawa born, Sydney based artist Taloi Havini’s project introducing young people to digital media in Bougainville through the NGO Pacific Black Box launched in 2008, a collaboration with local organisations that has seen youth talk about their experience of the effects of climate change. 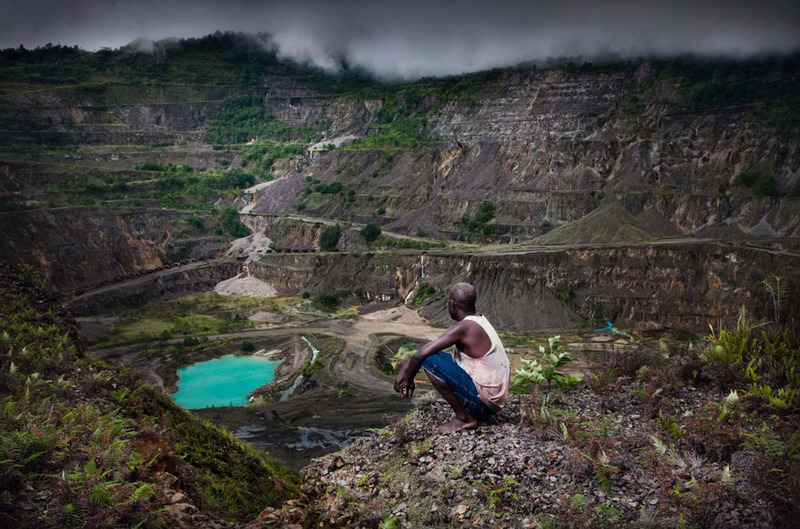 Havini works across photography, video and installation, her bold and intricately layered works engage with the history and material culture of her birthplace, Bougainville. 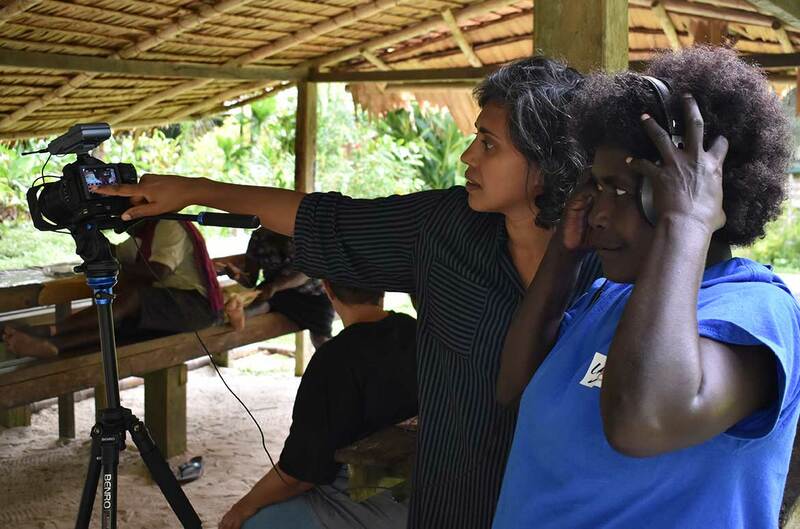 More recently, sisters Georgianna and Regina Lepping founded a film society in nearby Honiara, bringing together aspiring young filmmakers as a support for film makers across the Solomon Islands archipelago. The group directed film programs at the 2018 Melanesian Festival of Arts in Honiara. 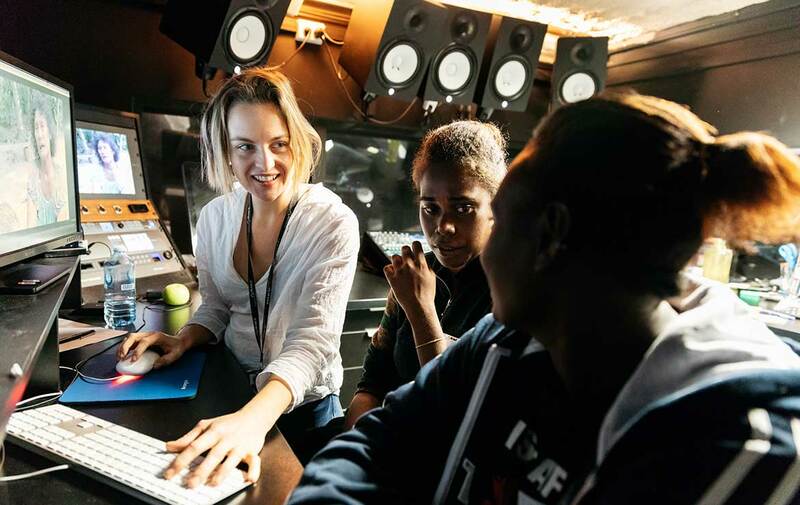 The APT9 Women’s Wealth project has been an opportunity for Georgianna Lepping and Buka artist Jesmaine Gano (a participant in the 2008 Pacific Black Box project) to be mentored by Havini. The pair spent ten days with the artists from Bougainville, the Solomon’s Choiseul Province and Australia as part of a workshop project at the Nazareth Rehabilitation Centre, Chabai, Bougainville in September 2017. Gano and Lepping’s footage from the workshop includes demonstrations, documentation of artist’s working, as well as individual artists interviews, documenting not only the diversity of practice but the experiences and aspirations of the projects participants. 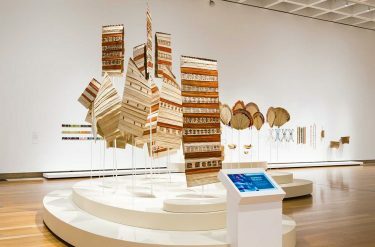 Both artists travelled to Brisbane in July 2018 to work with the team at QAGOMA’s Australian Cinémathèque to edit the video for display in APT9. Working in the bio box closely with Mia Forrest, they edited hundreds of hours of footage in addition to synchronizing with audio and adding subtitles to finalise moving image material which will be displayed prominently within the Women’s Wealth exhibition at the Queensland Art Gallery for APT9. 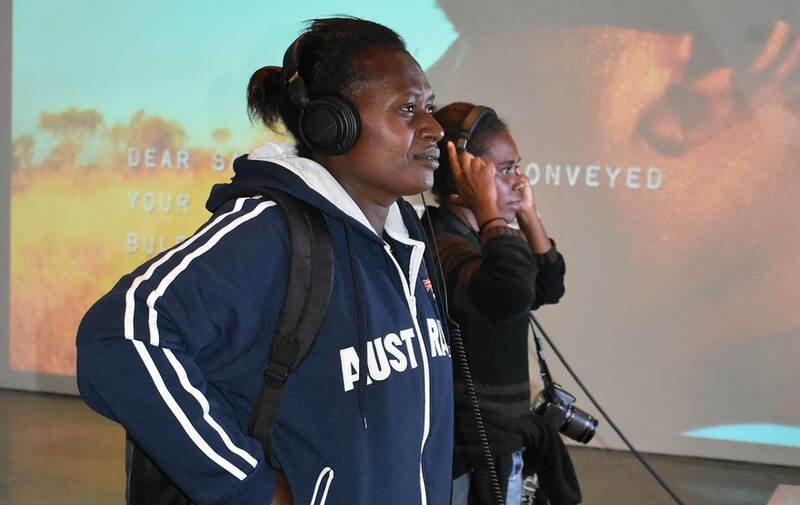 The visit coincided with an exhibition of new video works by Indigenous Australian film Collective Karrabing (also in APT9) at the Institute of Modern Art. 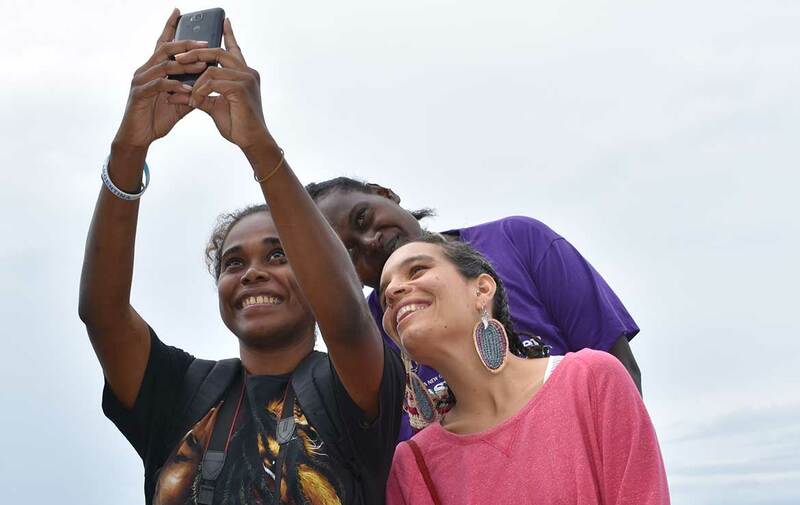 Gano and Lepping were also able to travel to Minjerribah (Stradbroke Island) to reconnect with fellow Women’s Wealth artist Elisa Jane Carmichael and family on her Quandamooka people’s country, consolidating strong ties between these young indigenous women. Both artists will return to Brisbane in November to assist the Gallery’s AV teams and students from the Queensland University of Technology to conduct artist interviews and document the opening weekend programs of APT9.